Shirdi Tour package | Shirdi Package tour | Shirdi Sai baba darshan tour package!!! Shirdi is a town and falls under the jurisdiction of Shirdi Nagar Panchayat, located in Rahata Tahasil in Ahmednagar District in Maharashtra. It is accessible via the Ahmednagar - Manmad State Highway No.10, approximately 83 km from Ahmednagar and 15 km from Kopargaon. Shirdi is best known as the late 19th century home of the popular guru Shirdi Sai Baba. It is one of the richest temple organisations. Shirdi, like any other holy destination, is visited round the year and devotees fly from various parts of the world to seek blessings of the Shirdi Sai Baba. Shirdi darshan tour package is usually arranged from Pune for about 1 night 2 days or 2 nights 3 days covering Shirdi sai baba temple & the Shani shinganapur temple near Shirdi. Shirdi can also be combined with Ahmednagar & Nasik covering Ajanta Ellora caves & Triambakeshwar respectively. By Rail the nearest railhead is Sai nagar Shirdi, with limited trains running once or twice a week. Trains also run from Manmad station which is 87 km and Ahmednagar station which is 83 km from the heart of Shirdi, alternatively from Kopargaon station which is 15 km from Shirdi, or Nashik city, which is 119 km from Shirdi or Nagarsol. Pune railway station is 189 km from Shirdi. By road Buses and taxis ply to and from Shirdi. Shirdi can be reached by bus/car from any of the following cities in Maharashtra State: Ahmednagar, Mumbai, Pune, Thane, Nashik, Nagpur and Aurangabad. Shirdi Airport is being constructed at Kakdi (Kopargaon taluka), 14 km south-west of Shirdi. 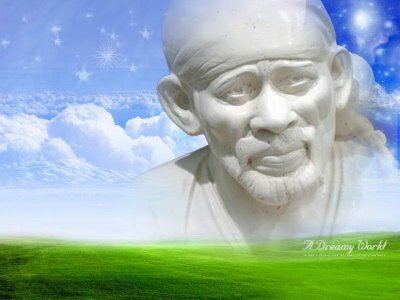 Shirdi From Chennai: A bus/Train/flight to Pune and from here we pick you up and proceed for the tour. Shirdi From Bangalore: A bus/train/flight to Pune and from here we pick you up and proceed for the tour. Shirdi From Hyderabad: A train/flight to Pune and from here we pick you up and proceed for the tour. Shirdi From Pune: We pick you up directly and proceed for the tour. Shirdi From Delhi: A train/flight to Pune and from here we pick you up and proceed for the tour. The 3 to 31/2 hours drive to Shirdi by road from Pune is a relaxing drive showing you the real beauty of Maharashtra.